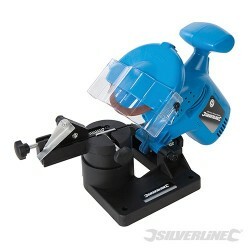 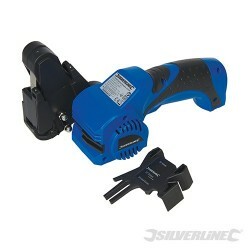 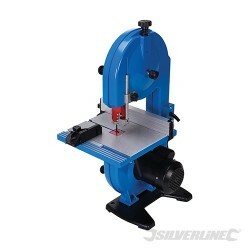 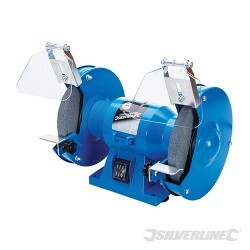 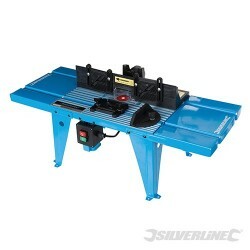 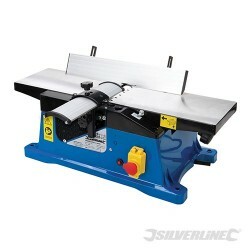 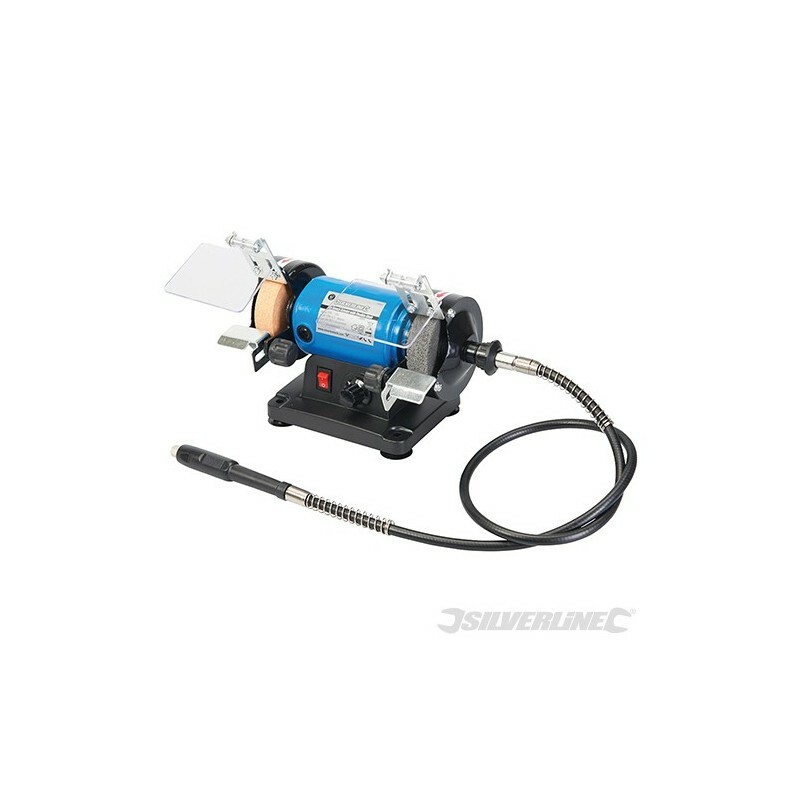 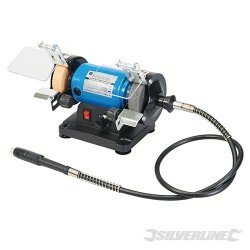 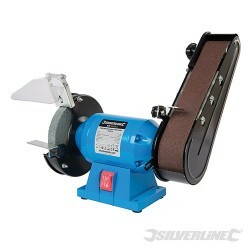 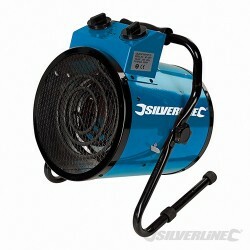 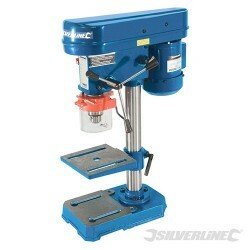 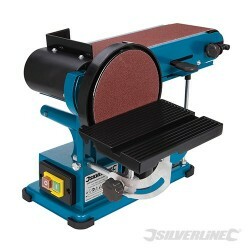 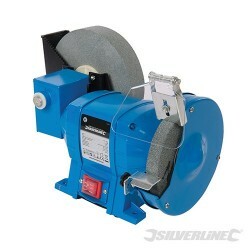 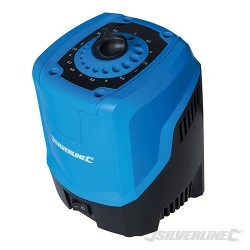 Versatile mini grinder and polisher with handy flexible drive shaft grinding attachment. 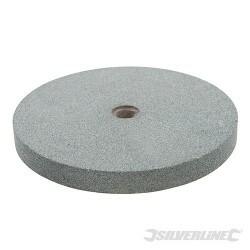 Complete with fine (80 grit) grinding stone and polishing wheel. 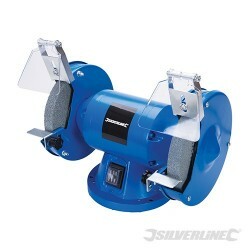 Adjustable eye protection shields, spark deflectors, wheel guards and tools rests.